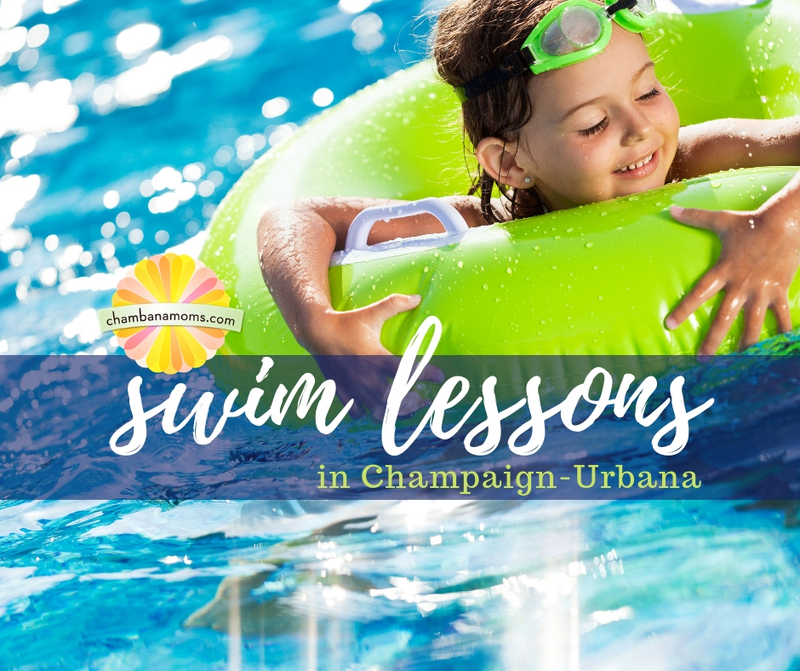 Teach your kids to swim like fish, in land-locked Champaign-Urbana, with our guide to swim lessons. Some skills come in handy, like knowing how to knit. Others, like swimming lessons, could save your life. If you feel that being comfortable in and around water is a must for your children, below are some area venues that can help you help them. Please note: Classes fill up quickly. Please call ahead to check on openings and up-to-date registration procedures. Some facilities offer classes year-round; others are only in the summer months. Looking for more information on Champaign-Urbana Area Swimming Pools? Please see our Swimming Pool Guide. We also have a rundown of the swim teams in the C-U area and special toddler swim times. Champaign Park District swim lessons are all outdoor and only available in the summer. Frequency varies; there are options for Sunday mornings, Monday-Thursday mornings and Monday-Thursday evenings. Sessions are June 2-Aug. 1. More information can be found on the aquatics page. Questions: Contact swimlessons@champaignparks.com or call 217-398-2550. Parent and child programs are available starting at 6 months and going up age 3. Progressive classes begin at preschool (3 to 4 years) and go through ages 8 and up. The Champaign Park District recommends that parents should sign up for the lesson level that “best fits your child. Ages are a suggestion, but not the main determinant.” Beginner adult and intermediate adult are available. Private lessons and classes for adults are also available. There is also a Junior Lifeguard Academy for ages 12-15. As an aside, be sure to check out the Tiny Tots Splash Time. This time has been reserved for kids and their parents to enjoy the kiddie pool without the afternoon crowds and before their afternoon nap. Only the kiddie pool will be open during these times and it is not a lesson program. You do not have to be a member of the Stephens Family YMCA to participate, but there is a discount if you are a member. Swim lessons are offered year-round. The Stephens Family YMCA has three pools of varying size, privacy and temperature, zero-entry accessibility, and a highly qualified and experienced aquatics staff. The YMCA swim lessons program is organized in an age/skill group system. This allows instructors to gear their teaching to a child’s skill level as well as the swimmer’s developmental level. Programs are offered for Parent/Child (6 months-plus), Progressive Preschool (3 to 5 years) and Progressive Youth (6 to 12 years). For more details on schedules, visit the aquatics program’s website. Swimming Without Limits, part of Larkin’s Place programming, is an inclusive swim program designed to meet the special needs of some students. Ratios for these classes are smaller and take place in the warm water therapy pool. Entry level is based on a child’s age, varying from 3 to 12 years, and not ability. Parents/guardians may participate in the program if their child needs extra assistance. An adult program (13 and up) also is available. Advanced techniques and teen/adult classes are also offered. Lifeguard certification course is offered; must be at least 15 years old. Urbana Indoor Aquatic Center, 102 E. Michigan, Urbana. 367-1544. www.urbanaparks.org. Swim lessons are held year round at Indoor Aquatic Center. Discounts are available for those enrolling more than one child. Registration deadline is one week before classes begin, and the classes spots are available first come, first served. Parent-tot lessons are available for children ages 6 months – 36 months. Progressive classes are available for preschoolers 3-5 and youth ages 6 and up. During the first week of swim sessions, instructors will evaluate and place children in the appropriate swim group. More information on the skills required for group lessons can be found here. Private and semi-private lessons are also available for children and adults. NOTE: *Information from 2018. Will be updated as it becomes available. Activities and Recreation Center (ARC), 201 E. Peabody Dr., Champaign, 333-3806. The pools at the ARC and Campus Recreation Center East (CRCE) will be used for various programs. Morning lessons will be at the ARC; evening lessons will be at CRCE. You do not have to be a member of Campus Recreation to participate, but members do receive the first shot at getting in to classes. The summer session goes from June 11-July 24, 2018. Registration opens April 30 for members and May 7 for non-members. Youth classes are available in several levels, including Parent/Child (6 months to 3 years with parent participation required) and Advanced Preschool (3 to 5 years old). For a list of times and fees, visit Campus Recreation’s Aquatics site. Campus Recreation also participates in the American Red Cross learn-to-swim program, which teaches aquatic and personal water safety skills in over six levels for children ages 5 and over. Prerequisites are here. Classes are also available for adults, and and private lessons are available for children and adults. 1175A County Road 2500 East, Homer. 896-2744. http://milleraquatics.org/. swimatmilleraquatics@gmail.com. Miller Aquatics offers two types of lessons: recreational swimming lessons and competitive swimming lessons. During the summer, recreational swimming lessons for three groups of swimmers: Parent/Tot (20 months to 3 years), small group (4-, 5- and 6-year-olds with three swimmers per instructor) and semi-private program (7 years to adult with two students per instructor). All lessons are 30 minutes twice a week for eight weeks. Depending on the availability of instructors, small group lessons during the fall/winter and winter/spring semesters may be offered in the Champaign-Urbana area. Competitive swimming lessons, camps and private instruction outside of Homer are also available. For more information, visit their website. 1 Arrow Road, Champaign. 352-9538. indianacresswimclub.org. info@indianacresswimclub.org. Indian Acres offers swimming lessons for three to four swimmers per instructor, starting at age 3. The first session begins June 10. Swimming lessons run in a series, and each series of lessons will be offered on consecutive days over a two-week period during the noon hour. Spaces in any series are first come-first served, and each lesson series can accommodate 20 to 24 students. There are limitations for the number of series that can be signed up for at one time based on demand, so be sure to check their website. 320 W. Flessner Ave., Rantoul. 893-5700. Hap Parker Family Aquatic Center Website. 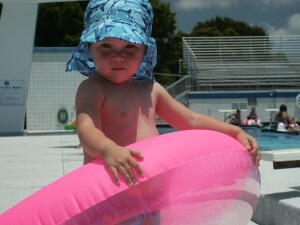 Swim Lessons are Red Cross approved and taught in June and July. Classes are two weeks per session for 30 minutes each, Monday through Friday. For more information, visit the swim lesson page on the Village of Rantoul website or call 893-5700.